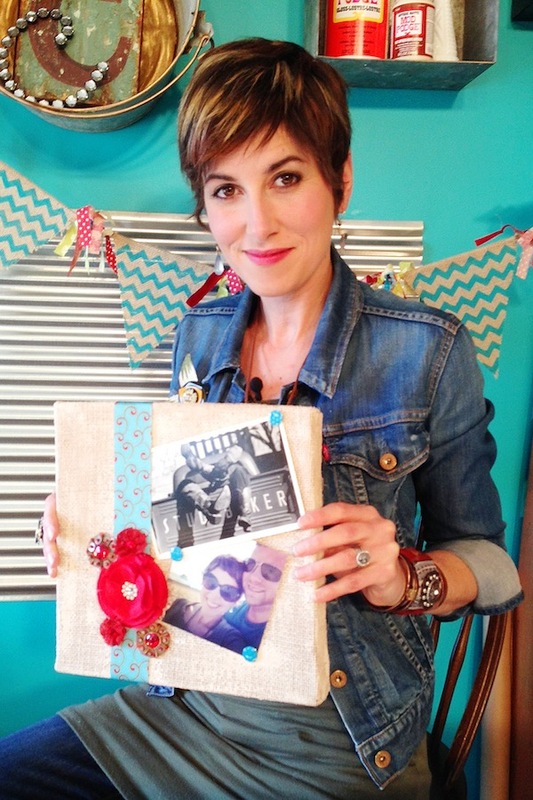 I’ve taught classes for Craftsy, ad.f d.f .df .d f.d f. See all of courses here. 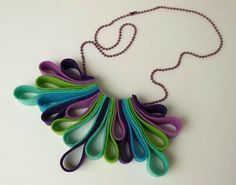 I’ve designed jewelry and kids’ crafts projects for some of the largest companies in the craft industry. Here’s a sampling of my work. 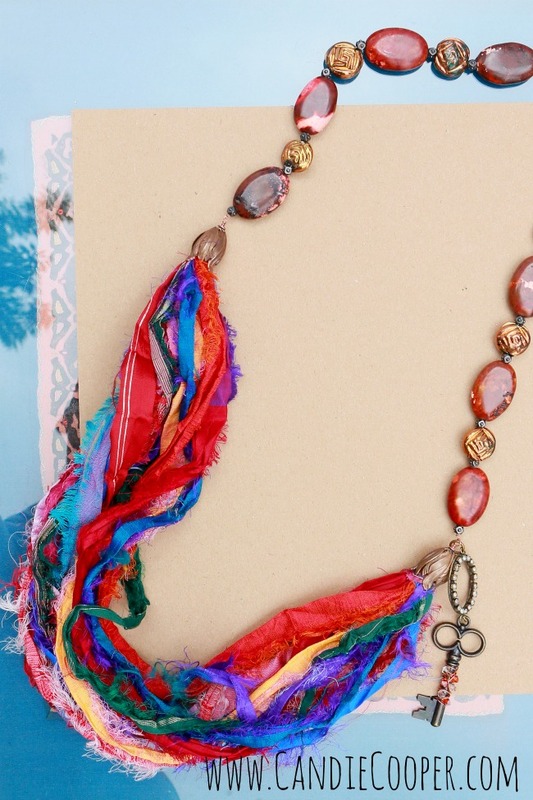 Sari Silk Necklace: This is a small sampling of what you can find in my Craftsy.com class, Beading with Wire, Chain and Leather. 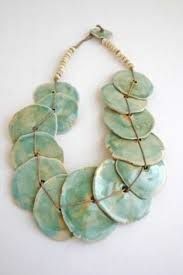 In my class, I take you through a beginner course of jewelry making. 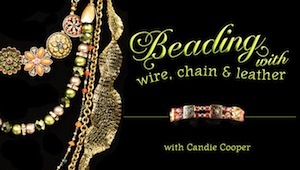 You’ll also learn how to connect ribbons, leather, and chain to your jewelry designs. 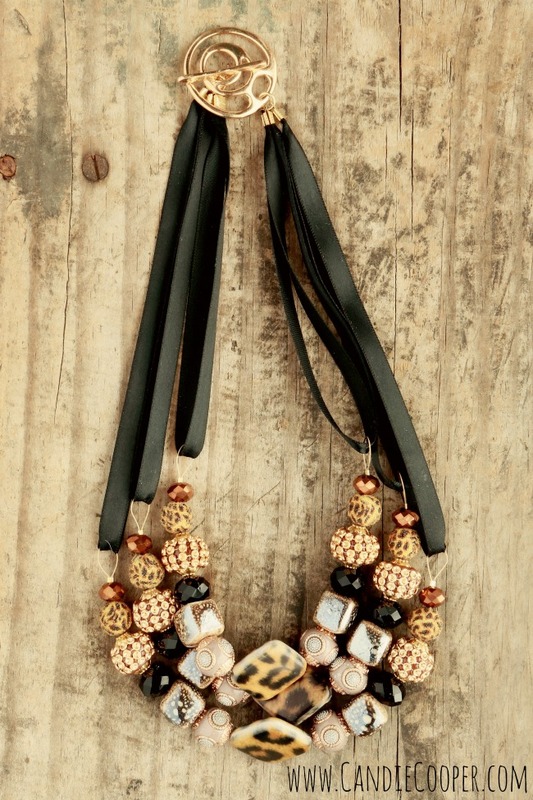 The Best Things Come in Threes: This is a statement necklace I designed for Jesse James Beads for a class at Bead Fest Spring 2014. I wanted the design to be luxuriously playful. Rawr! 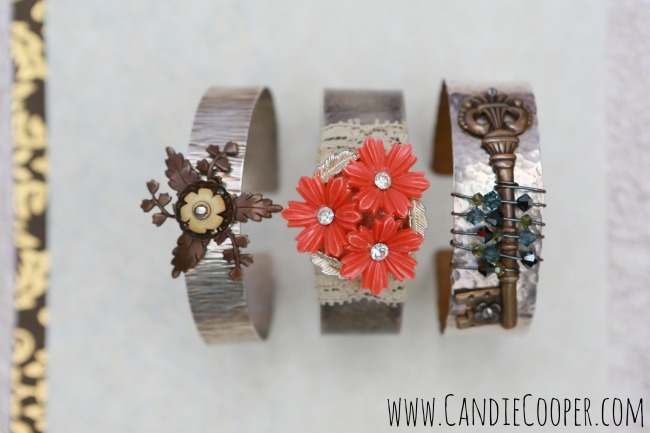 A Charmed Life: Around my small town, I’m known for using found objects in my custom designs. I can take your grandma’s vintage jewelry and give it new life. 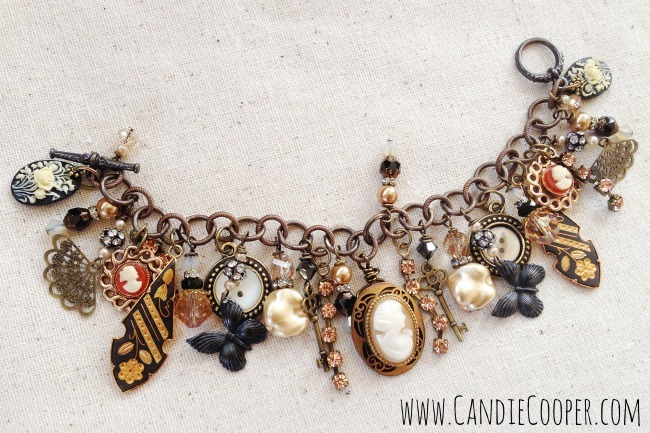 This charm bracelet is just one fancy example. Send me an email if you’re interested in a custom piece of your own. Metal-worked Cuff Collection: Since 2013, I’ve been appearing on Jewelry Television’s Jewel School for Beadalon. I specialize in trendy fashion jewelry with a touch of your own style blended in. 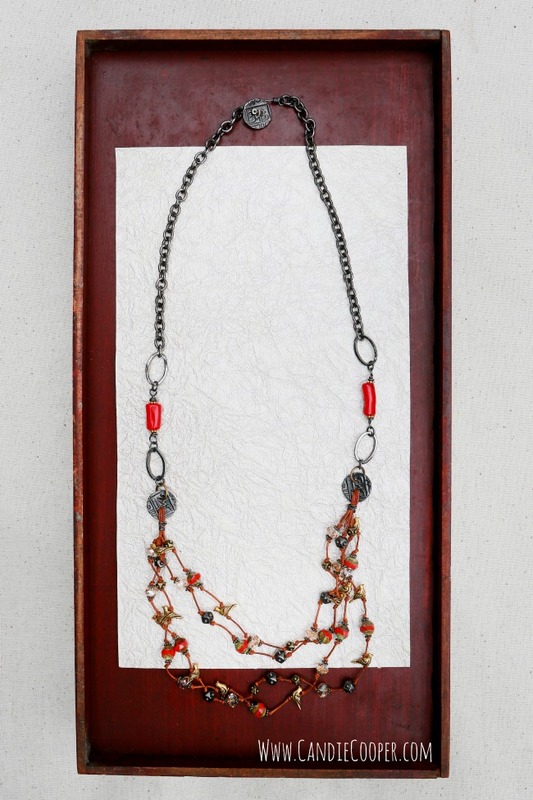 Birds on Knotted Leather: For the past five years, I’ve made regular appearances on the PBS beading television series, Beads, Baubles and Jewels. 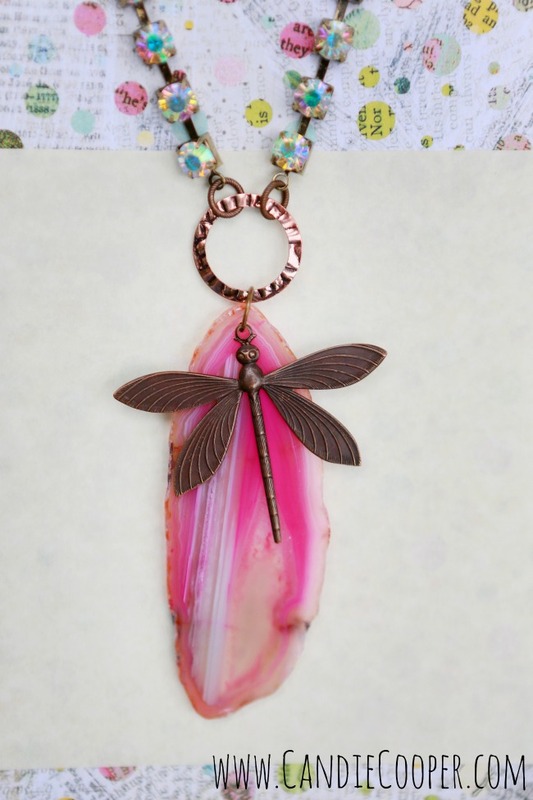 It’s a passion to teach others how to make beautiful jewelry with easy and fascinating techniques. See me on the show here. 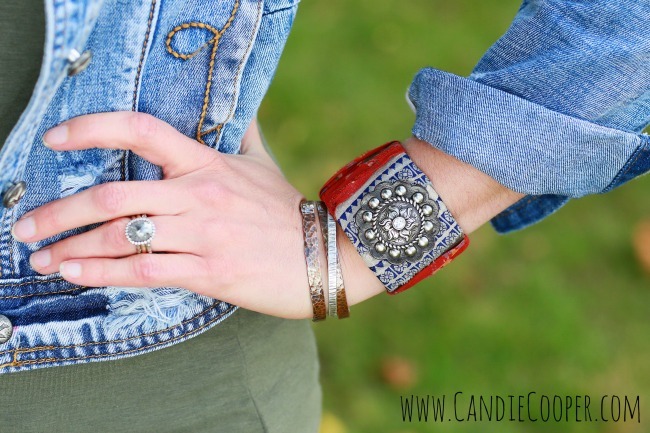 Boutique Style Jewelry-The Candie Cooper Collection: When I’m not working for the craft and hobby industry, I’m designing pieces for my own collection. 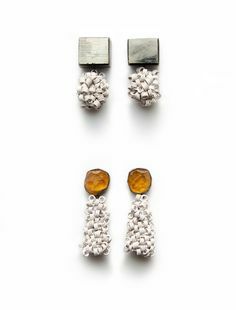 I sell these pieces to boutique shops. Contact me if you’re interested in a wholesale order.